Browse our online product range catalogues. 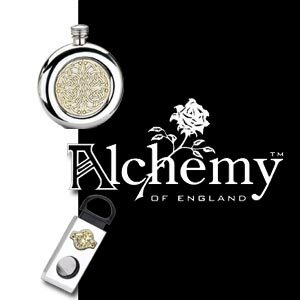 AlchemyPOKER, Alchemy Gothic, Alchemy of England and Alchemy Masque catalogues. To browse the online catalogues with price information please log-in, or register here if you are a new customer. Alternatively browse our catalogues with rrp price information. 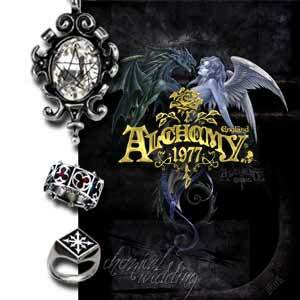 'AlchemyPOKER is the World's definitive collection of official jewellery and accessories for ALL the bands that matter. 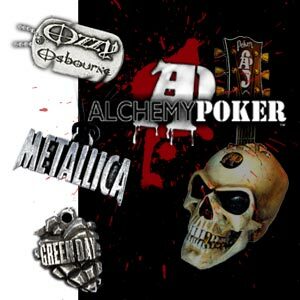 Since 1977, when Alchemy invented 'metal merchandise', AlchemyPOKER has created the biggest and best, most up-to-date catalogue of licensed band merchandise. Top quality pendants, buckles, rings, dog-tags, belts, wristbands and other accessories, at competitive prices. Visit the official website at http://www.AlchemyPOKER.com. Since 1977, Alchemy, the original gothic revivalists, have been creating the highest quality unique treasures in ancient, mediaeval and Victorian styles. Introduced by The Alchemist, the legendary saviour from the underworld, the Alchemy Gothic 48 page full colour catalogue is packed with over 1000 unique designs of jewellery and quality gifts...'A work of art'. Visit the official website at http://www.alchemygothic.com.